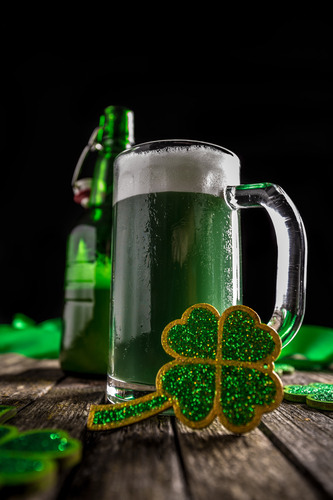 Saint Patrick’s Day is right around the corner on March 17 and whether you’re a full-blooded Irishman (or woman) or you simply enjoy a good beer and a shepherd’s pie, there’s no excuse not to celebrate this upbeat and exuberant holiday here in South Orange. Near our Third and Valley apartments are tons of Irish pubs that will be featuring special offerings, live music and authentic fare for the day. If you’re ready to get in the Irish spirit this Saint Patrick’s Day, then read on below. The South Mountain Tavern, located at 19 Valley St, South Orange which is three blocks from your Third and Valley apartment, is a restaurant and bar that features Irish food, frequent live music and an upscale-casual vibe. Besides Irish grub, the South Mountain Tavern also offers tons of upscale-casual food for your companion who isn’t so keen on fish and chips including Moroccon couscous with chickpea, artichoke, squash and plum tomato as well as shrimp and grits with Creole shrimp and brown butter. Gaslight, located at 15 S Orange Ave, South Orange which is four blocks from your Third and Valley apartment, is a brewpub that makes its own beer and serving familiar pub grub in a laid-back, sports-barlike setting. Since Gaslight brews their own beer, they always have interesting new beers on tap which will make a perfect accompaniment to your Irish dish on Saint Patrick’s Day! Stop in to see what they have been working on.